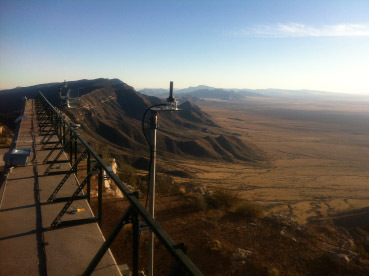 The LocataNet installation at White Sands Missile Range (WSMR), New Mexico, has completed its final system verification testing and is on schedule to become a fully operational capability in January 2015. 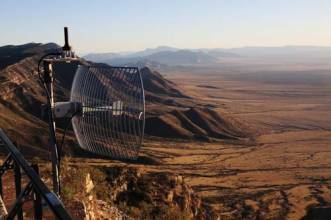 The network serves as the Non-GPS Based Positioning System (NGBPS) subsystem for the Ultra High Accuracy Reference System operated by the Central Inertial and GPS Test Facility (CIGFT) at WSMR. 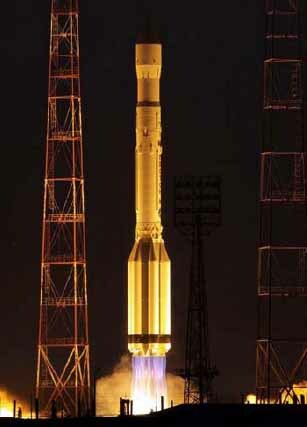 An article in the May/June 2012 issue of Inside GNSS describes the design and testing of the system. Based on successful results of a technical demonstration in October 2011 that prototyped the architecture in a real-world end-to-end environment, the U.S. Air Force issued sole-source contracts to Australia-based Locata Corporation and TMC Design Corporation to develop, produce, and install the ground transceivers, rovers, and command and control elements that comprise the LocataNet NGBPS.